I met Hannah at her dad’s wedding earlier this year where she was one of the bridesmaids. She will be a senior this year and asked if I could take her senior photos. Of course! I went out to the training facility where she has been riding horses for the past 12 years and she is now one of the oldest ones there. 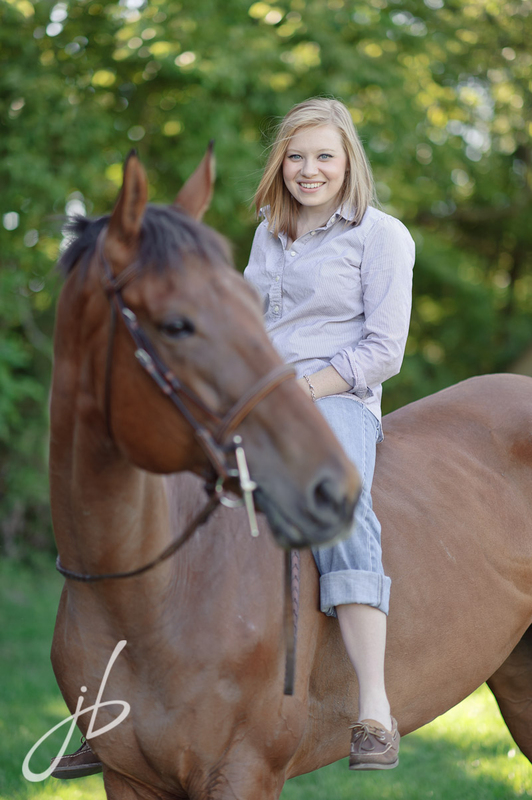 Because caring for and riding a horse takes a lot of time and dedication, she says that this is pretty much her only activity outside of school. She has only been riding her current horse JJ for a little over a year. He was a racing horse before they bought him, so he is still a little wet behind the ears for being ridden at shows. She is very dedicated to her schoolwork and as a result will be starting in several college courses this year in dual enrollment. She would like to either go into fashion design or be a trauma nurse. Two very different paths, but I’m sure she will apply herself at whatever she decides to pursue.